I find teaching kids how to read and expanding their vocabulary such an interesting subject. There are so many different theories and there are so many different methods out there, which makes it hard to figure out what works. Children are also so very different. 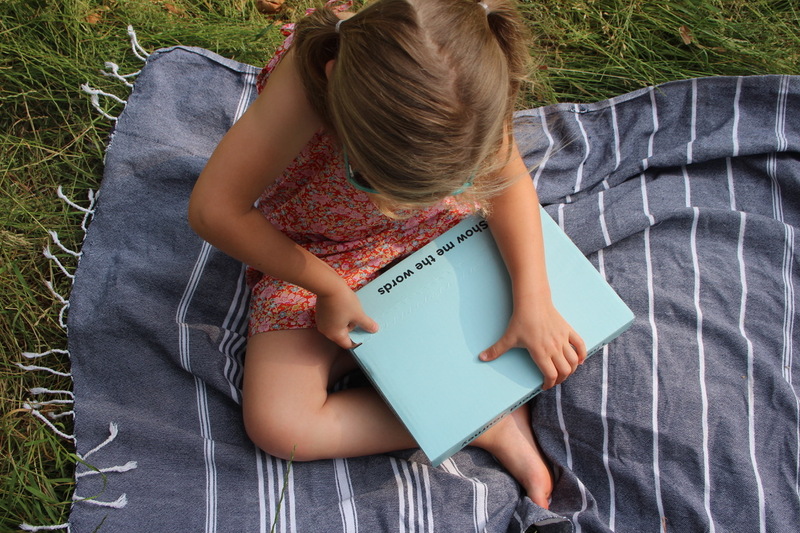 One of my kids picked up a book at age 6 and since then has never gotten her nose back out of books. The other one found it much less intuitive. It is complex, to say the least, but my rule has always been to try and keep it fun and playful as possible. We were super happy to have the team from Mrs Wordsmith at the London ShopUp last month. I spent quite a long time chatting with the team and it was really interesting to understand the theory behind the product. They explained that it took them at least two days to define each drawing to go with a word. Children’s visual memory is very strong so the right illustration is very important to associate with the word. The idea is this: there are more than a million words in the English language and most people remember words by association. We mostly remember the most common term and associate more complex or less frequent words with that. So the clever people from Mrs Wordsmith have developed cards linking word groups together. To make this memorable to children, they developed learning tools designed by comic book illustrators. They are super fun and memorable, the designs are instantly associated to the word. So clever! Our lovely Lara tested the cards on Beatrice who has just turned 5. She had a great time and did not want to put the cards down at the end of the day! 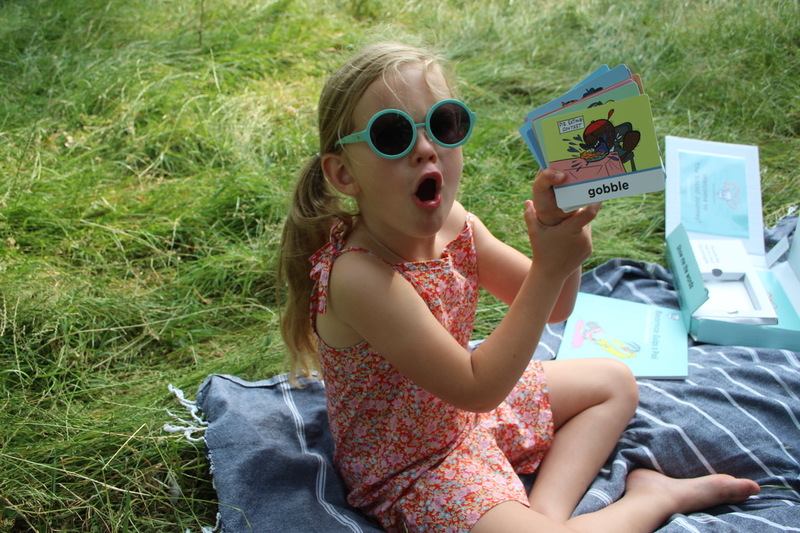 Lara let her explore with the cards and enjoy reading and recognising the words on them. She just had fun with it and literally learnt by playing. Since then word like peckish and gobble have started cropping up in Beatrice’s every day conversation, words she did not know before. 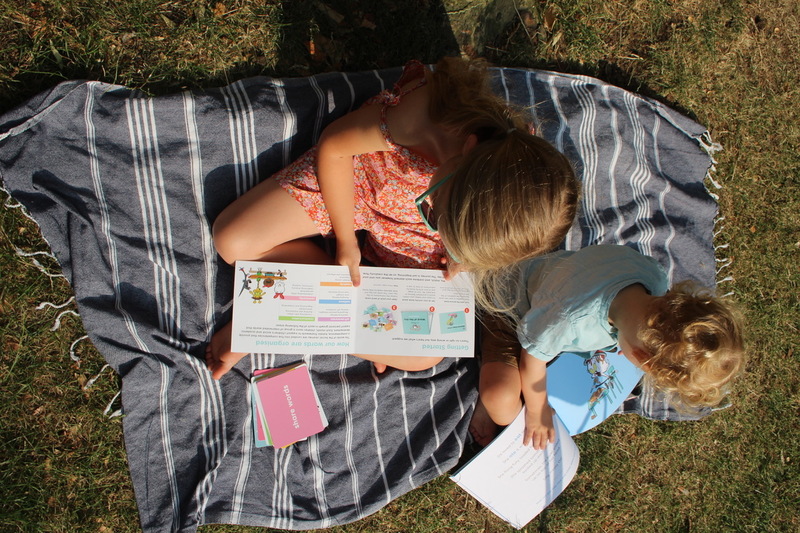 Mrs Wordsmith have a monthly subscription system with includes word cards, pictures books and activity books. 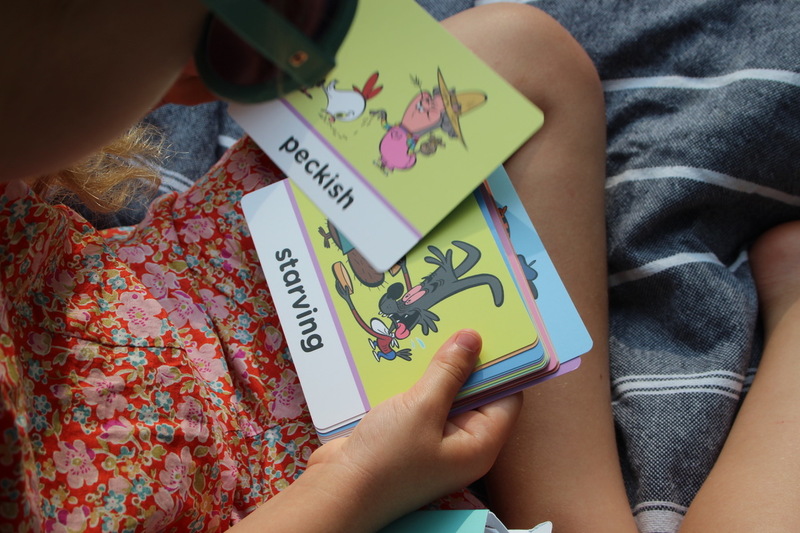 Each month focuses on 20 words, so each month children learn how to read, explore and use 20 new word groups, illustrated in a fun way by Mrs Wordsmith illustrators.